With a tradition lost in the depths of history, the island of Aphrodite is trying to adapt the viticulture and the winemaking processes under the new global state of affairs. The particular climate as well as the geographical position of Cyprus, contributed in turning the island into the birthplace of wine with the richest and most ancient tradition. Recently archaeological excavations brought to light findings that overthrew previous historical documents. Moreover Italian archaeologists who have studied 5500 year old amphorae which were excavated in 1930 at the village of Erimi and kept in boxes in the Archaeological Museum in Nicosia, discovered traces of tartaric acid which is a component of wine production. This is the oldest sample that was ever found in the Mediterranean. Today, the viticultural and oenological situation is characterized as a transitional period with many difficulties as well as ambitions. The wine scene has been changed significantly in recent decades. Compared to the past, vineyards were cultivated everywhere regardless of soil and climate characteristics. All varieties were used for wine production, regardless if they were wine grapes or not. This is no longer the practise. Of course, to change this situation was not an easy feat mainly because all participants carried with them traditions and could not escape from the simple practices they were deeply accustomed to and invest in technology and expertise. They had no ambition for something better. Since 2004, there has been a change in all areas. Cyprus became a member of the European Union, a fact which by itself has contributed to the upgrading of the vine and wine sector. A new wine map was created and a legal framework was delineated for all categories of wine products and areas where wines with geographical indication and also wines with a protected designation of origin could be produced. Moreover in recent years, a strong development of wineries, which has an immediate proximity to the wine regions, was observed. 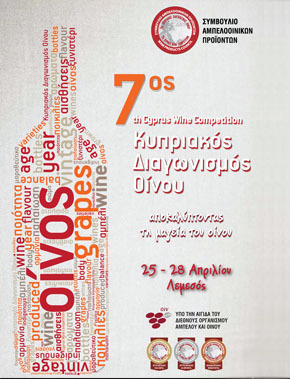 Currently, besides the four main wineries, approximately fifty modern and flexible local wineries have been developed by private initiative in the Cyprus countryside, having as a result the configuration of Cypriot wine production and also the contribution in the local development, leading to the creation of a new wine culture. Another positive factor that helps to contribute in the overall enhancement of the wine sector is the fact that winegrowers have realized that their vines need more care and also modern cultivation practices in order to produce quality grapes. They have accepted that wineries are not necessarily competitors but collaborators in this difficult task. Recently, a concerted effort has started to restructure and convert vineyards so that several forgotten indigenous varieties, which were scattered in old vineyards, will come to surface. From the red varieties “Maratheftiko” is distinguished and can be classified as a noble variety as well as quite complex when compared to the white variety “Xynisteri” which stands out for its uniqueness. The most famous of all Cypriot wines is the sweet wine «Commandaria», which is produced on the island for centuries now. In 1191, Richard the Lion heart conquered the island on his way to Holy Land during the Third Crusade which then transferred to the Order of the Knights. The Knights got some parts of the island and named them «Komanteries» (Commanderies). The wine which was exported by the Knights became known as «komandaria», to distinguish it from the other wines because of its excellent quality. King Philip Augustos of France, named it «Apostle of Wines» in the 13th century. Commandaria has always been prepared with a specific method which is still used today. The area where Commandaria is produced, lies on the southern slopes of Troodos mountain range in an altitude of 400 to 800 meters. All the stages of production, apart from the ageing, take place in a defined traditional area which is consisted of 14 communities and is the only one that has the right to produce this famous wine with its unique colour and smooth taste. As a final conclusion, we could say that Commandaria as well as wines from our indigenous varieties is what would give the diversity and the uniqueness, as well as improving the image of our wine so that we can achieve recognition both in the local and the international market.